A concrete driveway isn’t just a place to park a car. It contributes to a house’s general impression and adds to its property value. McGinn Concrete helps homeowners achieve a beautifully designed concrete driveway while ensuring its durability and strength. 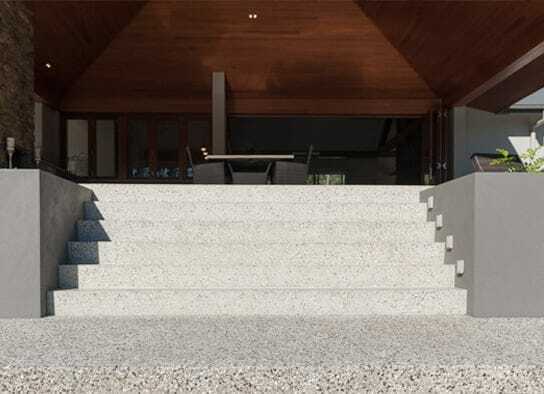 Retaining walls are a functional, and attractive solution to unstable and sloped terrains. They are used to hold back hillsides (however large) and help prevent soil erosion and landslides. Retaining walls also create a more useful area for everything from patios, paths, and driveways, to roads, parking lots, or any construction that requires a flat surface. We offer a variety of products to fit residential and commercial needs. 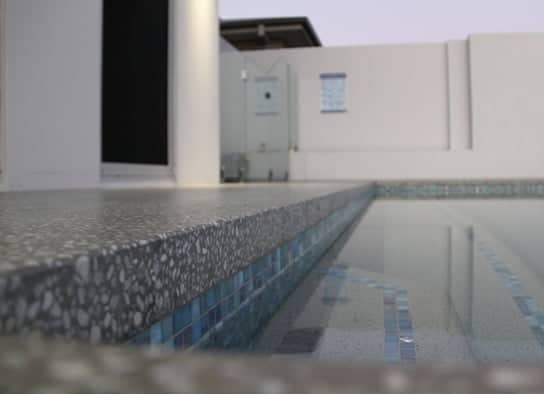 Your swimming pool will be one of the larger investments within your landscape and we believe that your pools surround should add value that investment. 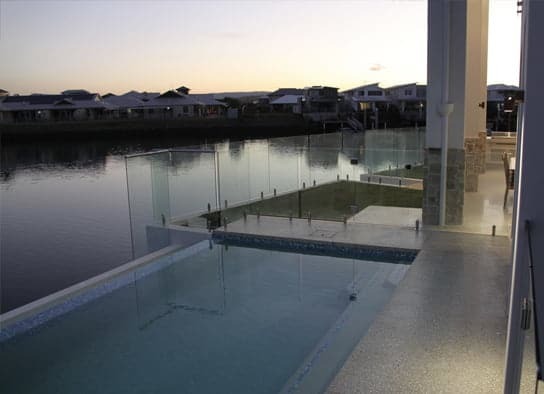 Our honed concrete solutions look fantastic and are perfect for poolside applications as we are able to add a non-slip finish to the surface. At McGinn Concrete we also provide the service of pressure cleaning, resurfacing, and sealing any concrete surface, from stencilcrete, stamped concrete, spray on stenciling, plain and coloured concrete. 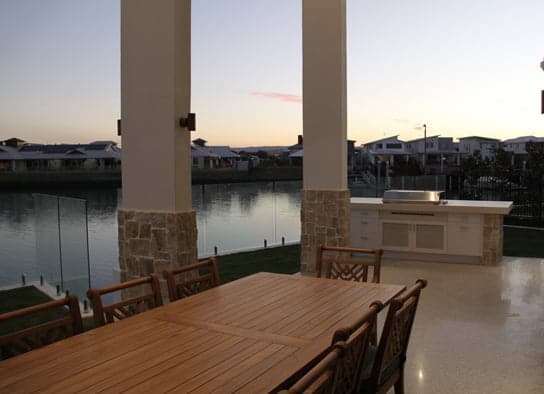 Whether it be internal or external we can apply clear and colored sealers, penetrating sealers used for dust proofing factory floors as well as seals for breathable products such as sandstone, clay and natural stone pavers. At McGinn, we are also able to help with finishing touches to outdoor projects like footpaths. Whether it is a small garden path or a large outdoor path in a commercial setting, no job is too small. 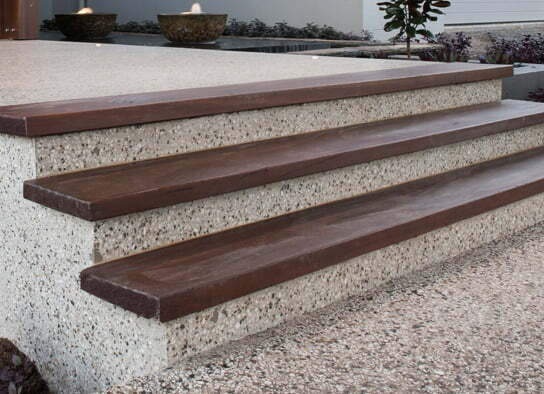 A variety of finishes such as exposed aggregate, broom finishes or stencils can easily be applied. Contact the McGinn team to discuss your project. 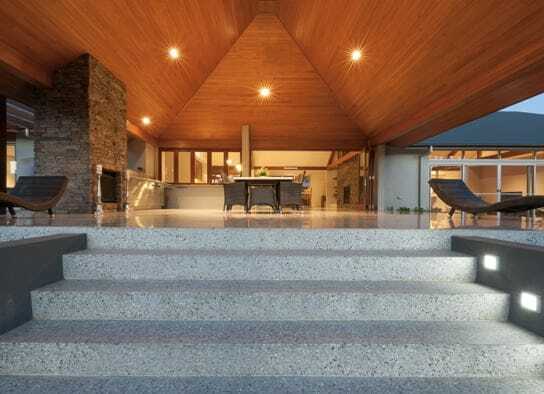 Have a look at our concrete finishes section here.